40 different syllables have been recorded for each singer. These can be switched exactly in time by using keyswitches. By using five "True Legato Vowels" (a, e, i, o, u), these syllables can be combined in a most natural way. In addition, there is an extra "mm" articulation being unmistakably typical for East- and Central-African chants. 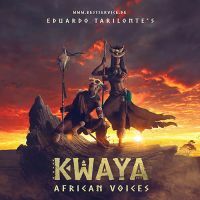 Although Kwaya is founded upon over 10,000 samples and 7 GB of data (lossless compressed to 5 GB), it is really straight-forward and easy to use. The library offers a set of 20 different phrases which eight syllables each. These can be changed using the keyswitch function and edited in the phrase arranger. Here, you can chose between 40 different syllables, five vowels and the "mm" articulation. After having selected the syllables, you just need to decide between short and long articulations. There is full NKS support for Native Instruments' Komplete Kontrol controller-keyboards. 5 different true African style legatos (a, e, i, o, u). 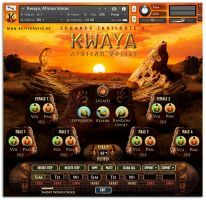 A powerful Phrase-Arranger with 20 phrases, 8 syllables each*. 40 words can be combined with true legato playing while the corresponding vowel is automatically selected. 10.000+ samples (mono, 44kHz, 24-bit), Library Size 7 GB uncompressed and 4.5 GB compressed. 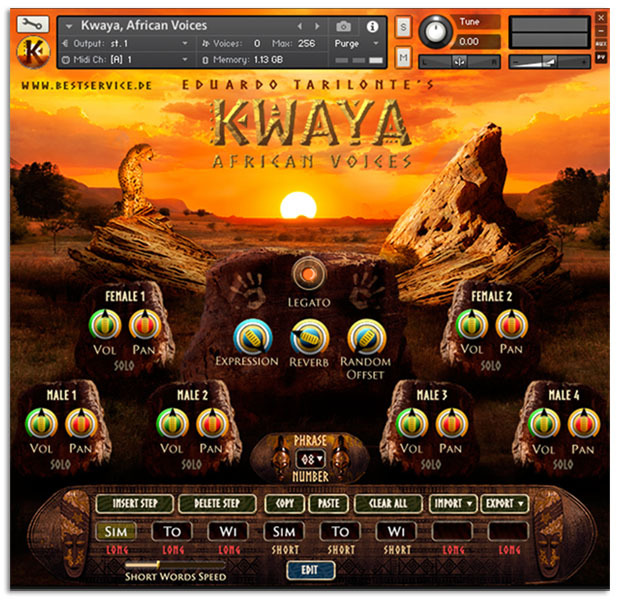 Free Kontakt Player included (Version 5.5 or higher required). * All syllables are fantasy. 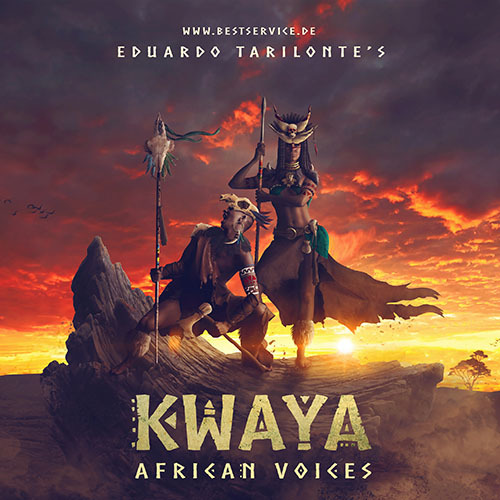 Just some of the poems and vocal fx are in Ugandan language.